- Allow remote viewing & record (motion activated) from anywhere anytime. - Single IP for multiple camera control. - No need for 3rd party software. - Water-proof and IR night vision (up to 20 meters). 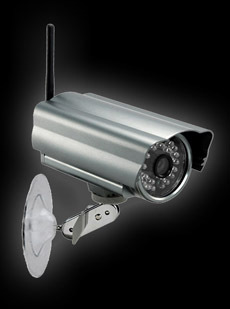 This Outdoor IP Camera is available for sale at a great price with customer service you can count on. It's infrared illuminator allows the camera to capture video in low light up to 30ft away with night vision. Your recordings are saved at the rate of 1.8 gb per hour. This item also has the ability to record when motion is detected. The videos produced by this item are in a avi video format. The key feature of this camera system: it allows for viewing live video over the internet using your PC, Tablet or Smartphone (Android, iPhone). 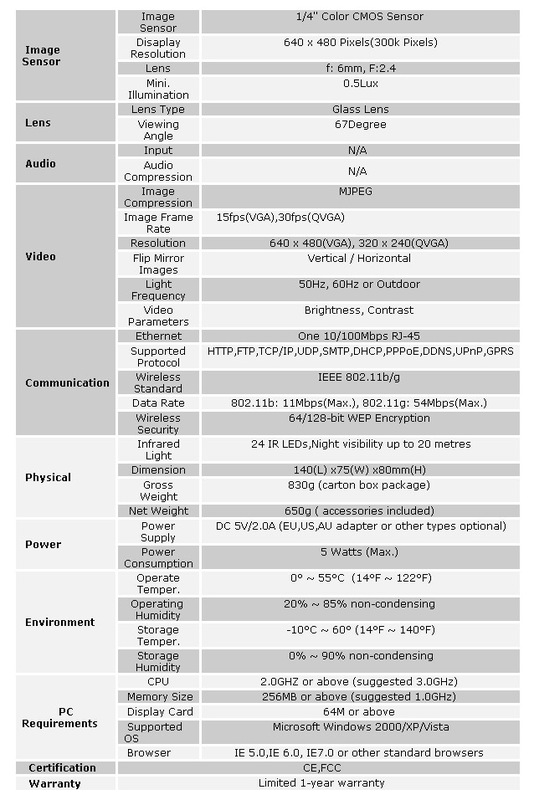 Are you interested in these Outdoor IP Camera / Clearance Items but not sure what's required for setup, how it works or you just have a general inquiry? Chat with one of our Clearance Items Specialists. "The first cam I ordered was flawed but I had no problem reaching a rep and returning the camera. The replacement camera arrived quickly and was fairly easy to set up but I needed help with port forwarding. I called their tech support number and reached help immediately.Tony,the tech support guy, set up my camera remotely ( no charge like some other companies) and was one of the nicest tech support persons I've ever called upon. The camera has been operating perfectly since set up. It has great night vision and easy to use setting controls. Seems very sturdy, too.Now I'm returning another company's faulty camera for a refund and I'm going to purchase another one of these to use instead." "I would rate this product higher, because I can get it to work as far as seeing the video on my computer, but once I try and get it to link to my wireless router, it does not connect, I even changed my router password to a simple password just so that this camera did not have to deal with "special characters", just letters and numbers. Going to call the company again tomorrow and if they can talk me through to get it working, I will do another review because otherwise it is a great camera and the one I purchased for my brother-in-law from the same company is fantastic! and works flawless!" ""I ordered an outdoor wifi camera which I had no idea how to set up as I don't speak computer all that great and so I called for help and they walked me through everything. They were great with helping me! I didnt have any problems with the camera after setup. Camera works great!!" "
"I was afraid first of doing a purchase remotely with a company who I haven't try to do business with. Finally my fear was unjustified and found what great service they are offering. The Cam met my expectations although it cost me big time to have it delivered to my location "Lebanon" but I will definitely take that into consideration next time :) For sure I am going to be a 2nd & 3rd ... time buyer!!! " 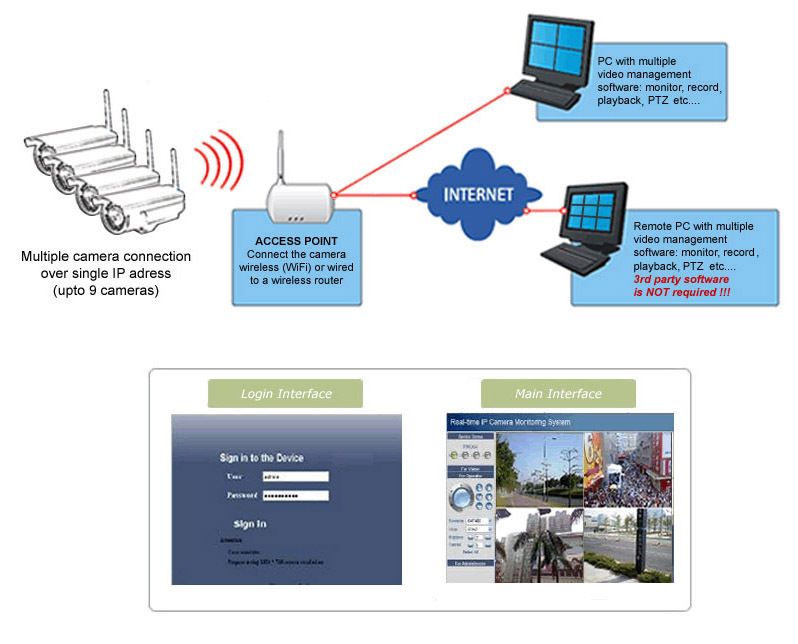 Q&A: Have a specific question about this Outdoor IP Camera? click here.